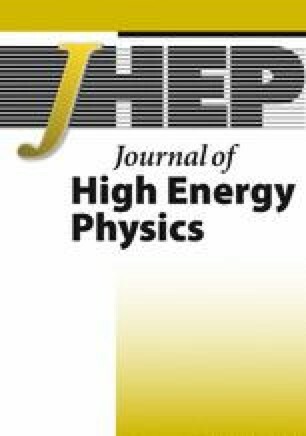 We extend recent work on the relation of 4d and 3d IR dualities of supersymmetric gauge theories with four supercharges to the case of orthogonal gauge groups. The distinction between different SO(N) gauge theories in 4d plays an important role in this relation. We show that the 4d duality leads to a 3d duality between an SO(N c ) gauge theory with N f flavors and an SO(N f − N c + 2) theory with N f flavors and extra singlets, and we derive its generalization in the presence of Chern-Simons terms. There are two different O(N) theories in 3d, which we denote by O(N)±, and we also show that the O(N c )− gauge theory is dual to a Spin(N f − N c + 2) theory, and derive from 4d the known duality between O(N c )+ and O(N f − N c + 2)+. We verify the consistency of these 3d dualities by various methods, including index computations. O. Aharony, N. Seiberg and Y. Tachikawa, Reading between the lines of four-dimensional gauge theories, arXiv:1305.0318 [INSPIRE]. K.A. Intriligator and N. Seiberg, Phases of N = 1 supersymmetric gauge theories and electric-magnetic triality, hep-th/9506084 [INSPIRE]. D. Gaiotto, G.W. Moore and A. Neitzke, Framed BPS States, arXiv:1006.0146 [INSPIRE]. K. Intriligator and N. Seiberg, Aspects of 3d N = 2 Chern-Simons-Matter Theories, arXiv:1305.1633 [INSPIRE]. N. Seiberg and E. Witten, Gauge dynamics and compactification to three-dimensions, hep-th/9607163 [INSPIRE]. A. Kapustin, Seiberg-like duality in three dimensions for orthogonal gauge groups, arXiv:1104.0466 [INSPIRE]. S. Kim, The Complete superconformal index for N = 6 Chern-Simons theory, Nucl. Phys. B 821 (2009) 241 [Erratum ibid. B 864 (2012) 884] [arXiv:0903.4172] [INSPIRE]. A. Kapustin and B. Willett, Generalized Superconformal Index for Three Dimensional Field Theories, arXiv:1106.2484 [INSPIRE]. T. Dimofte, D. Gaiotto and S. Gukov, 3-Manifolds and 3d Indices, arXiv:1112.5179 [INSPIRE]. A. Kapustin, Three-dimensional Avatars of Seiberg Duality, talk given at Simons Summer Workshop in Mathematics and Physics 2011, http://media.scgp.stonybrook.edu/video/video.php?f=20110810_1_qtp.mp4. J. Park and K.-J. Park, Seiberg-like Dualities for 3d N = 2 Theories with SU(N) gauge group, arXiv:1305.6280 [INSPIRE]. V. Spiridonov and G. Vartanov, Elliptic hypergeometry of supersymmetric dualities II. Orthogonal groups, knots and vortices, arXiv:1107.5788 [INSPIRE]. 1.School of Natural SciencesInstitute for Advanced StudyPrincetonU.S.A.